Art Fundraising Program for Schools & Organizations - KidsArt, Inc.
We've helped thousands of schools and organizations collectively raise millions through our fundraising program. 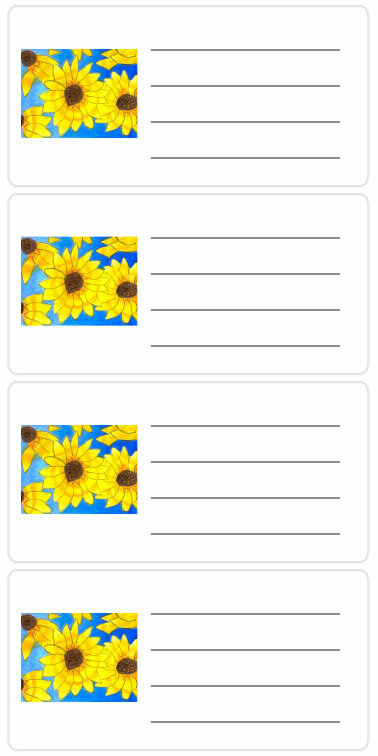 Note cards, notepads, stickers and more! Funny ones, clever ones, sweet ones. They're whimsical, they're heartwarming, they're charming, they're treasured — and a valuable, profitable fundraiser for your organization. 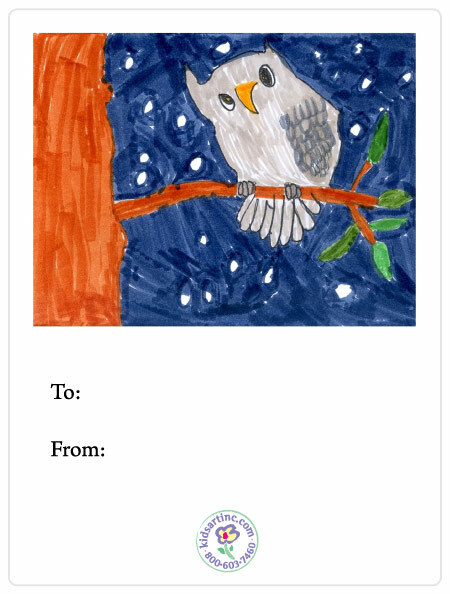 20 cards featuring each participating child's work of art with his or her handwritten signature printed on the back — complete with 20 matching envelopes. Packaged in sparkling, star-studded cellophane, topped with a glittering metallic silver ribbon, color ink printed on white stock, 5-1/2 in. x 4-1/4 in., inside blank. 36 sheets per pad featuring each participating child's work of art. Printed on white stock, packaged in a crystal clear bag, 3-1/2 in. x 8-1/4 in. 12 gift tags featuring each participating child's work of art, 3 in. by 4 in., packaged in a crystal clear bag. Peel & stick. 24 labels, 2-1/2 in. x 1-1/4 in. 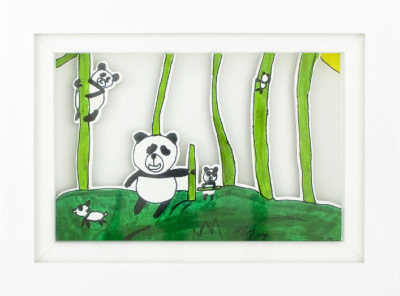 each, featuring each participating child's work of art and lines to handwrite addresses, packaged in a crystal clear bag. For use on envelopes. 2 in. x 1-1/2 in. 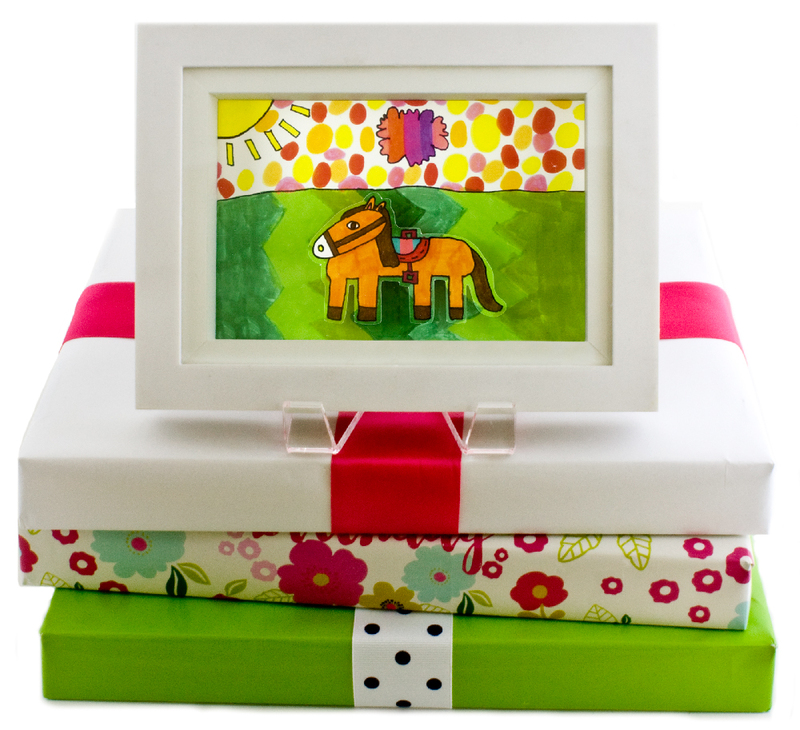 featuring each participating child's work of art, packaged 25 total in a crystal clear bag. Note: The pricing above is for schools & organizations running a KidsArt fundraiser, excludes tax, and includes shipping & handling. Pricing valid through December 31, 2018. Product images not to scale. KidsArt, Inc. has been specializing in helping organizations such as schools, PTAs and PTOs, churches and synagogues raise money for more than 15 years. We've worked with thousands of organizations. No complicated choices or decisions. No upfront costs or inventory. We use high-quality paper and envelopes. We review and clean up artwork where necessary. For our color products, we've expended great effort to ensure that colors are vibrant and pop off the page. Let us know how many participants are in your organization. We'll send Picture Forms for them to draw on. 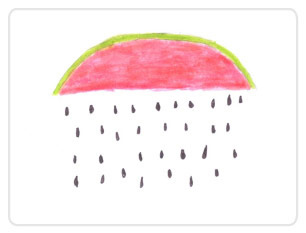 Draw artwork on Picture Forms, send them home with a letter to your families, then collect orders. Collect and organize your families' orders, then submit your Group Order to us. We'll produce your products and send them back to you, ready for distribution. We typically provide your organization with two Picture Forms per child free of charge. Yes, our minimum Group Order is $100. Six weeks from the day we receive your Group Order to the day we are committed to ship the finished product. Please add transit time. 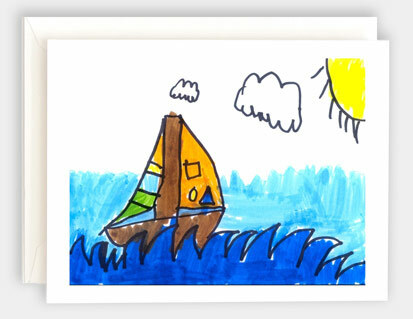 KidsArt covers the cost of shipping your materials and your finished Group Order to you. Your organization pays for the postage (or shipping fees) to send us your Group Order. Note cards arrive packaged in star-studded cellophane bags, topped off with a glittering ribon ready for gift giving. All other stationery products are packaged in crystal clear bags. Shadowboxes arrive in bulk. Yes! When you submit your Group Order, simply organize it with Group Lists, which let you list your artwork by teacher/classroom and grade. We'll return your products to you ready for distribution and fully organized. Multiple color stationery products will arrive pre-sorted in bags labeled with each child's name. Shadowboxes will arrive in bulk.